We're all still reacting to the horrific news of Nipsey Hussle's passing yesterday with so many members of the hip-hop community sending their love and regards to members of his family, including his children and Lauren London. People process death in different ways. Some try to remember all the good times they shared with a person, others cry until no tears are left. 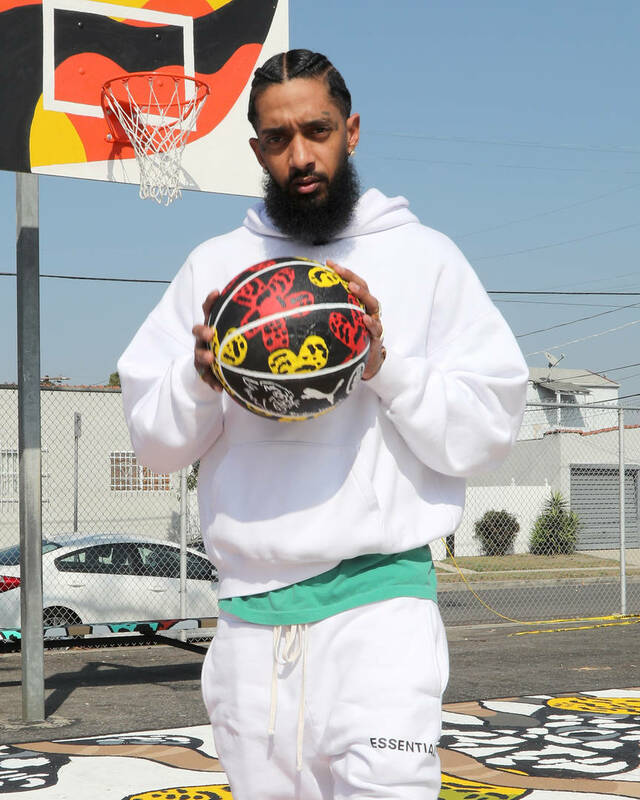 Some people try to find answers as to why somebody passed away, which is what many are seeking following the news of Nipsey Hussle's death. As reported by Daily Mail, the 33-year-old was set to team up today with Roc Nation representatives to meet with police in LA, discussing gang violence and how things can be improved in the city. Los Angeles Police Commissioner tweeted that he and the Police Chief were going to meet with Hussle and Roc Nation to try and find solutions to the still-prevalent gang violence issues in the city. "We (@LAPDChiefMoore and I) were meeting, at the request of @NipseyHussle with him and @rocnation tomorrow at 4pm to talk about ways he could help stop gang violence and help us help kids. I’m so very sad," he wrote. It's not surprising to hear that Hussle was actively trying to find ways to help his community. He has been hailed as one of the most active members of the city in terms of fighting for a more positive future. It's truly a shame that he was shot in his home-city and it will take a long time for us to process his passing. RIP Nipsey Hussle.